As we try to understand the gospel stories in which Jesus casts out demons, it is helpful to remember the resemblance between Jesus and healing shamans. To Jesus, illness is often the work of demons. The healing process unfolds when a particular demon, or sometimes more than one, is driven out of a person. This may be perplexing to modern ears, but it is unfair to the gospel record and to other healing traditions to merely write it off as primitive thinking. Depth psychology in particular helps us see that early people did not have an inferior way of evaluating human nature, health, and illness. Rather, western culture has lost its ability to see a spiritual world consisting of both helpful and not-so-helpful spirits and demons. Let us put it another way. Today children are closer to inner reality than most adults. When the sun goes down and darkness sets in, the world of demons and monsters comes alive for children. They peer from outside windows, they hide in the closets, under the bed, up in the attic, and down in the cellar. During the day these places contain the usual paraphernalia as any adult will gladly point out. Yet conversations with many adults indicate that when night falls even they experience fears and imaginative wanderings that normally do not arise during the day. We can distinguish between daytime thinking and nighttime thinking. Ours is primarily a daytime-thinking culture. We like to see life as we know it when the sun is shining and the world can be seen objectively. If we, or our children run across the inhabitants of the night, we like to say it is “only” our imagination. We turn on a light to show our children (and ourselves) that there are only shoes and clothes in the closet, nothing else. We rely on daytime thinking. When it fails us, which is often the case, we lock our outside doors, clothes closets, attics, and cellars, and keep our feet from touching the floor around the bed until dawn the next day. It is in the daylight world that we excel, that we are productive and at home. We are not at home in the nighttime world. Our attempts to contact the world of spirits compare feebly to those of shamans and religious figures of earlier cultures. Their myths and rituals describe nighttime reality at length. They are so at home in this world that they have even named its inhabitants. The figures of ancient Greek mythology and the Kachinas of the Zuni Pueblo Indians of New Mexico and Arizona are good examples; helpful spirits aid healing and enhance human life, while unclean spirits bring illness and restrict life. Our “night life” is inferior, and as long as we tell ourselves and our children that our demons are not really there, or that they are “only in our imaginations,” it will remain so. The idea of an inner world is very helpful in this regard. For in nighttime thinking it is this inner world that we experience. The characters that come from within us at night have their own life and their own stories. If we know their stories as depicted in myth and ritual, we are better able to know where our own lives are unfolding, and whether it is in a healing direction. The creative imagination can help enormously in bringing these inner realities into focus. We can become much more conscious of our inner dynamics and of how God might be moving within us. The psychology of C.G. Jung goes a long way in explaining our nighttime world. In his life, as well as his psychological work, Jung spoke of how important it is to find the images behind our feelings and emotions. In these images Jung perceived common patterns and motifs that he called archetypal patterns. They are found not only in the inner life of modern people, but in ancient myths and rituals. The characters are gods, spirits, and demons of earlier times. More ancient people, including Jesus, believed it possible for individuals to be possessed by demons. The goal of the healer was to free the person from such influence and put him in touch with the spirit of healing. In Jung’s psychology, a person comes under the influence of a particular complex that prevents the full unfolding of the personality. A man or woman may suffer from a mother complex, for example. Such a person lives by the values of his mother, and his feeling life resides in her psychology. He becomes ill, physically or psychologically, when this influence becomes so strong that other parts of the personality suffer. For healing to take place, the mother complex must be integrated, a process in which the psychotherapist can help. When at length a balance begins to come forth, the strain on the body is lessened. Discernment in this inner world comes only with experience. Often inner figures that seem threatening at first are bringing healing, while those that seem good can be opposed both to healing and to God. An example is the angel Lucifer, or “lightbearer,” who thought he could do a better job than God. Someone can be said to be possessed by Lucifer when, in the name of light, he claims to know the divine order of things in the face of solid evidence to the contrary. This demon plays on our human tendency to want to have life our own way. The stronger it becomes, the less likely it is that a person will hear God’s voice. Similarly, such a demon preys on the part of a person that likes to be cared for, stroked, and to be the center of attention. Very likely, such a person would carry on an “if” relationship with God—something like, “If things go my way and life is comfortable for me, I will believe in you.” Ironically, such a person invites discomfort and even illness: as we shall see, this is often the only way God can get our attention and help us see that we might have a demon. 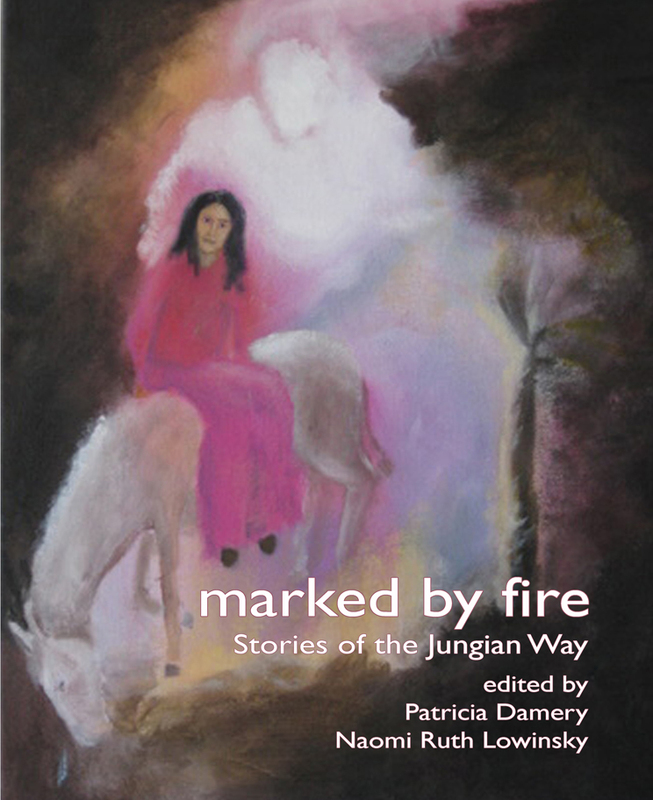 Jung’s work bridges shamanism and western thought by taking shamanism seriously and demonstrating that a relationship to the vast inner world—the collective unconscious, in his phrase—is crucial to one’s health. Jung describes this inner world and its archetypal patterns in clear, modern language. For him experience is the key to understanding the inner life. He invites those in search of healing, or of God, to encounter this world through their personal experience. Jesus was at home in the realm of demons, in nighttime reality. It was natural for him to talk about them in the course of his healing work. This is one reason why he taught that unless we are like little children, we cannot enter the kingdom of heaven (Mt 18:1-5). Children are close to the nighttime world; unless adults can maintain this same relationship, they will lose touch with the inner kingdom of heaven. One reason Jesus was so at home in the night world had to do with the Judaism of his day. In the Jewish cycle of life, each day began at sunset, the time of darkness, and ended with the time of daylight. One lived first in night life and then in day life. The creation story in the book of Genesis begins in darkness. From darkness comes light. The Jewish calendar and all its feast days were based on the moon and determined by its cycles. Generally the moon can only be seen at night. Thus the ancient Hebrews, like most primitive peoples, were especially adept at looking into life at night. From very early in its history, Christianity adopted the Roman calendar and began to base its year on the sun rather than the moon. The old lunar calendar was traded in for a solar one. This change symbolized the transition in consciousness that has permeated western culture. Modern science has benefited, but the type of healing ministry found in the gospels has suffered greatly. At times the Christian mystical tradition has pointed back toward the inner world and the mysterious ways of darkness: John of the Cross is noted for his sixteenth century work The Dark Night of the Soul. But such mystics are the exception. Most modern Christians practice their religion along the lines of daytime consciousness. Whereas the Jews held their family meals and religious services beginning with dusk and the coming of night, most of today’s Christian services are daytime events. Those in the evening are held then for the practical reason of attendance rather than for any spiritual purpose. There are two exceptions. One is the Christmas Eve service, which, for a number of denominations, is the principal service of Christmas. Here is a great Christian service centered in the time of darkness. Its timing, though, is rooted in the ancient non-Christian winter solstice ceremonies rather than in early Christian practice. Still, it affords Christians an opportunity to come into some general contact with the spiritual mysteries of darkness and the night. More recently here in the west there has been a movement to restore the great vigil of Easter on Easter eve. This does not call forth the popular response of Christmas, but there does appear to be growing interest in many churches. In very early Christianity the Easter vigil was the central service of the year. Following Jewish practice, it actually began with the setting of the sun on Saturday, lasting through the night until dawn the next day. For the early church the full mystery of Easter, the central event of Christian belief, was experienced as the time of darkness finally moved into the time of light. During this great service all baptisms were performed, and those baptized received the eucharist for the first time. The resurrection took place at night! At dawn the tomb was empty; Jesus was already risen. This celebration of the great vigil of Easter continues in eastern Christianity. Westerners often have trouble becoming accustomed to an Easter service at night; many who attend a vigil service feel they have not been to church on Easter and return the following day for a daytime service. Certainly this inclination is largely due to custom. However, it is also due to our having become almost exclusively a daytime culture, out of touch with the side of spiritual reality that lies within nature’s cycle of darkness. Consequently we lack access to an important area of spiritual wisdom. Nighttime thinking allows us to approach the world of demons. In his healing, Jesus used the same approach. 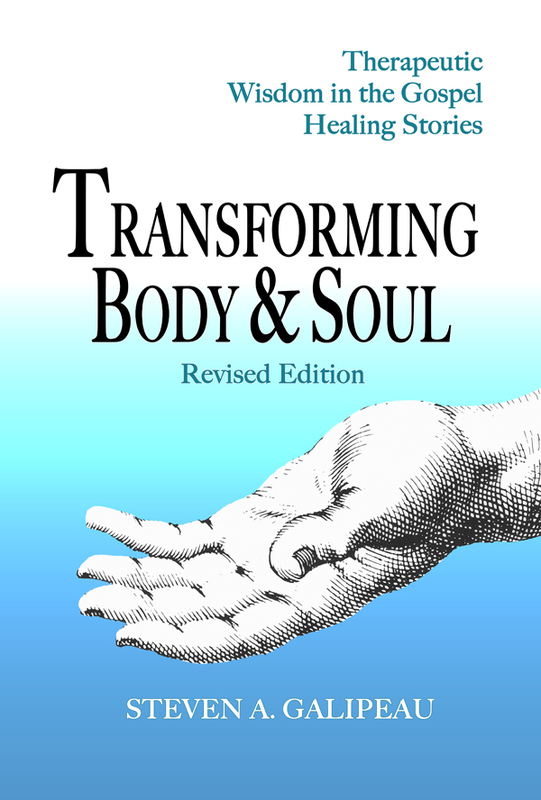 Transforming Body & Soul: Therapeutic Wisdom in the Gospel Healing Stories examines his healing work more closely. Steven Galipeau is a Jungian analyst in private practice in Calabasas, California and President and Executive Director of Coldwater Counseling Center in Studio City. A member of the C.G. Jung Institute of Los Angeles, he teaches in the analyst training program and lectures regularly in public programs on a wide variety of topics related to Jungian psychology. Steve is also the author of The Journey of Luke Skywalker: An Analysis of Modern Myth and Symbol. At the beginning of the Christian era, the entire Mediterranean world was caught up in the throes of a spiritual ferment-not unlike that of our day. The Roman Empire had completed the eastward expansion begun by Alexander the Great and brought together the ancient cultures of the Near East and the younger cultures of the West. A cosmopolitan, secular, Hellenic civilization and a common language unified the entire region. The various indigenous traditional religions lost their hold on the religious feelings of their adherents. A merging of the gods and cults of different regions took place, and something like our New Age movement developed. That movement combined Oriental mythologies, astrology, Iranian theology, elements of Jewish biblical and occult traditions, Christian salvation eschatology, the mystery religions of Isis, Mithras, and Attis, Platonic terms and concepts, and alchemical imagery. Christianity itself was only one among many new religions of the time that held a radically dualistic view of the nature of reality along with an otherworldly goal of salvation. In ancient Rome, as in the United States today, every conceivable religion was represented, and many people wandered from sect to sect in search of novelty and transcendent I experience. It was even possible to travel to India and China in that quest. Those of us who were drawn to the meditation teachings of the East were confronted by a panoply of techniques, schools, traditions, and lineages. Suddenly we heard talk of strange states of consciousness and exotic states of being-"samadhi" and "satori," Boddhisattvas and tulkus. Nevertheless, Kaplan admitted that even many rabbis and scholars were not aware that such a tradition exists. For since the Enlightenment, reference to meditation disappeared from mainstream Jewish literature, and even from Chasidic literature, where it once played a central role. Kaplan had to undertake a difficult scholarly task to rediscover the tradition of Jewish meditation, for most of the important texts on Jewish meditation had never been published and existed only in manuscript form stored in libraries and museums in different parts of the world. The manuscripts first had to be located, copied, and their often obsolete scripts deciphered. And even then, much of the material would have been incomprehensible to someone who had had no experience with meditation. In spite of these still extant Christian meditative traditions, many contemporary Christians were led back to these pursuits by way of an exposure to Eastern meditation. One notable example is that of John Main, a practicing Catholic, who was taught mantra meditation by an Indian teacher in Malaya. He decided to become a Benedictine monk, and when he described his way of meditating to his novice master, he was told to stop. Instead, he was asked to undertake the more intellectual forms of meditation-discursive, conceptual, and imaginative. Then one day he read John Cassian, the teacher of Saint Benedict and Saint Thomas Aquinas, and recognized that Cassian's meditatio was essentially identical with what he had been taught by his Indian teacher. He began to teach this form of meditation in 1976 and founded a worldwide network of small meditation groups. The most popular Catholic exponent of the contemplative life in recent years was the Trappist monk Thomas Merton. His Seeds of Contemplation, which appeared in 1949, was a widely read book long before Eastern meditation made its incursion into the West. But eventually he, too, became greatly interested in Eastern, particularly Buddhist, meditation, and on his fatal trip to Asia in 1968 (during which he died accidentally from electric shock), he even toyed with the idea of working with a Tibetan guru. Merton had a life-long interest in Zen Buddhism and wrote a number of essays on the topic. The newly revived interest in meditation, however, is not limited to religion. Many people meditate for purely secular reasons: to improve their concentration or to obtain a sense of equilibrium, clarity of mind, and a general feeling of wellbeing. Others use various meditation techniques to activate, explore, and sometimes restructure aspects of their psychology. The states of consciousness experienced during meditation have been compared with other unusual forms of consciousness, such as those induced by hypnosis or psychedelic drugs. Many of these early studies were published in Altered States Of Consciousness (1969), edited by Charles T. Tart. The Joumal of Transpersonal Psychology, founded in 1969 by Anthony Sutich, a close collaborator of Abraham Maslow, has been particularly receptive to research and essays on the physiology and psychology of meditation, and on mysticism and other religious experiences. Interestingly enough, research in both subatomic physics and astrophysics has led to a perception of the universe that in essence parallels the often paradoxical descriptions of the nature of reality in Eastern mysticism. The theoretical physicist Fritjof Capra has documented and illustrated these similarities in The Tao of Physics: An Exploration of the Parallels between Modem Physics and Eastern Mysticism (1975). Since the 1960s a number of widely read psychologists and humanists have sought to integrate Eastern and Western psychology, among them Alan Watts, especially in Psychotherapy East and West (1961); Erich Fromm in Zen Buddhism and Psychoanalysis (1970), coauthored with D. T. Suzuki; Roberto Assagioli in Psychosynthesis (1971); and Abraham Maslow, particularly in his posthumously published book The Farther Reaches of Human Nature (1971). Charles T. Tart, in Transpersonal Psychologies (1975), a survey of nine major Western and Eastern mystical traditions, acknowledges that the Western scientific approach has failed to deal adequately with the realm of spiritual experience: "The 'enlightened rationalism' and physicalism [the notion that ultimate reality consists of the interaction of matter and energy in time and space and exists independently of our perception of it] that have been so successful in developing the physical sciences have not worked very well in psychology. . . . Orthodox, Western psychology has dealt poorly with the spiritual side of man's nature, choosing either to ignore its existence or to label it pathological. "(3) He therefore proposes the creation of "state-specific sciences," specific to different states of altered consciousness. Just as there are specially trained scientists in such areas as chemistry and biology, there would have to be specially trained scientists dealing with the observation and analysis of the experiences and states of consciousness characteristic of, say, hatha yoga, Zen meditation, telekinesis, LSD, and so on. The difference, of course, would be that the state-specific scientist would have to experience these conditions and observe them from "within," rather than from the outside, as is the case with the natural sciences. Jung faced this issue in the early decades of this century and simply opted for empiricism, the observation of experiential facts without regard to theory. In a series of books, among them The Spectrum of Consciousness and The Atman Project (first published in 1977 and 1980 respectively), Ken Wilber has developed a theoretical framework that seeks to integrate the developmental and ego psychologies of the West with the spiritual and transpersonal psychologies of the East. The most recent effort in this vein, and one that purports to offer a "full spectrum" model of human development, is Transformations of Consciousness: Conventional and Contemplative Perspectives on Development (1986) by Ken Wilber, Jack Engler, and Daniel P. Brown. I don't know whether Wilber is familiar with Jung's use of the color spectrum as an analogy for the range of psychic functioning. On the infrared end of the spectrum, Jung places the biological instinctive psyche, which gradually merges with its chemical and physical conditions. On the ultraviolet end, he places the archetypal images, which merge with the invisible-to-us realm of spirit. Thus: "In archetypal conceptions and instinctual perceptions, spirit and matter confront one another on the psychic plane. Matter and spirit both appear in the psychic realm as distinctive qualities of conscious contents. The ultimate nature of both is transcendental, that is, irrepresentable, since the psyche and its contents are the only reality which is given to us without a medium. "(4) Wilber's spectrum is similar, for he places what he calls the preverbal, primary processes that are bound to the instincts at the initial state of the human life cycle, and of human evolution in general, and the transpersonal, archetypal consciousness at the most evolved end of the life cycle, and of human evolution. Although, like Jung, Wilber recognizes the limits of consciousness at the primary process level, he does not seem to acknowledge the limits of consciousness at the archetypal end of the spectrum. With the current interest in Eastern thought and meditation, it is surprising how seldom Jung's contribution in this area is acknowledged. Jung played a major role in introducing a number of important Eastern texts to the Western reader: The Secret of the Golden Flower; The Tibetan Book of the Dead; The Tibetan Book of the Great Liberation; D. T. Suzuki's Introduction to Zen Buddhism; and Richard Wilhelm's translation of The I Ching or Book of Changes. He sought to make these texts comprehensible by translating their basic philosophical concepts and religious images into psychological language and by drawing parallels with similar Western ideas and religious experiences. As early as the 1930S, he attempted to integrate Western and Eastern psychology, particularly with his notion of the Self as a central, mandala-like psychic structure with transpersonal characteristics. For his efforts in this regard, and because, unlike Freud, he refused to ignore religious and parapsychological phenomena, he was labeled a mystic and dismissed by mainstream psychologists. Today, Jung's work is more readily acknowledged, and yet his psychological theories are mentioned only in a peripheral way in the most recent studies of meditation and altered states of consciousness. It appears that Jungian psychology is a "state-specific science," and only someone who has undergone a Jungian analysis and training is able to apply Jung's theories in a meaningful way. Gathering the Light is an attempt to do just that. It seeks, first, to bring to light the immense contribution that Jung has made to the comprehension and appreciation of Eastern religious thought and practice. Second, it applies the insights and discoveries of Jungian psychology to the study of meditation. Chapter 1 chronicles Jung's encounter with Eastern thought and his attempts to make the Eastern worldview understandable in Western religious and psychological terms. 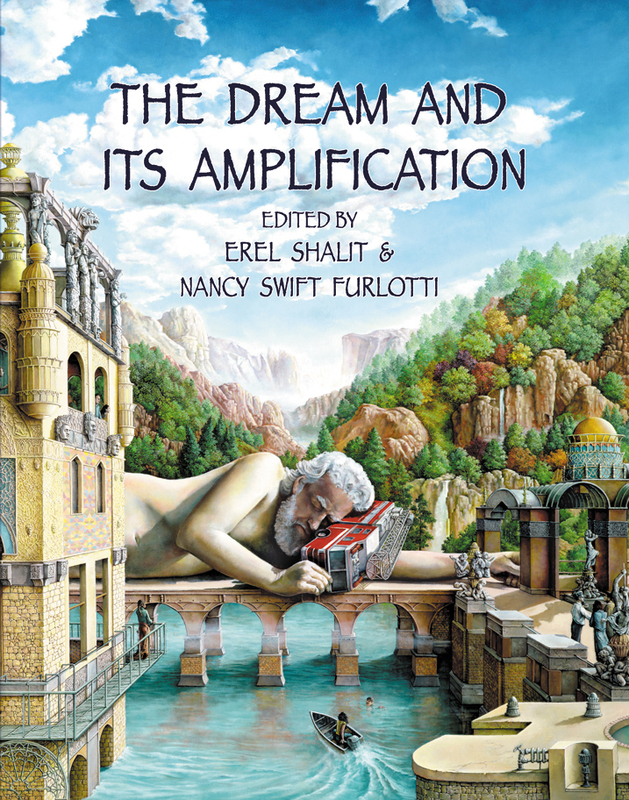 A major part of the chapter is devoted to a discussion of the Jungian definition of projection and the relation of projection to the experience of enlightenment or Self-realization. Chapter 2 describes the psychological processes that take place during meditation. By directing psychic energy inward, meditation activates the complexes and the archetypes, with different forms of meditation activating different archetypes and giving rise to different experiences and results. The topics covered include attention; concentration; "deautomatization," the freeing up of psychic energy that normally flows into our habitual responses; the role of the ego complex during meditation; the loss of body sensations; visions of light; and the psychological limits of enlightenment. Chapter 4 explores Jung's reservations about the practice of Eastern meditation by Westerners. He argues that there is a vast cultural and psychological difference between Easterners and Westerners, and that Westerners ought to widen their consciousness on the basis of their own psychology. He feels that psychotherapy is the appropriate Western method for the pursuit of this goal, and proposes active imagination as the meditation technique that best leads to the integration of the personality and the expansion of consciousness. Chapter 5 delves into the relationship between meditation and alchemy. Without a knowledge of alchemical symbolism, certain Eastern meditation texts, like The Secret of the Golden Flower, are not fully comprehensible. Jung discovered that alchemy describes in prepsychological language the evolution and development of consciousness. Western alchemy, with its extraverted bias, projected this entire process onto the interactions of matter. Eastern alchemy, with its introverted focus, projected this development of the internal flow of energy within the body. The chapter concentrates on the final alchemical operation, coniunctio, in which the previously separated-out and "purified" opposite elements or energies are reunited and the goal of the opus is achieved. The product of this final union is described as the philosophers' stone or gold in Western alchemy and as the golden flower or the elixir of life in Eastern alchemy. Jung tended to see the symbolism of alchemy as analogous to the process of individuation and the goal of alchemy as the attainment of psychological wholeness. I revise his emphasis somewhat and demonstrate that alchemical symbolism also describes the psychological processes that take place during the course of meditation, and I view the goal of alchemy as the attainment of Self-realization or enlightenment. Two appendixes follow the text. The first outlines Ken Wilber's criticism of Jung's concept of "archetype" and in response provides a fairly extensive description of what Jung meant by the term. The second examines a recently published translation of The Secret of the Golden Flower by Thomas Cleary. It compares the relative merits of Wilhelm's and Cleary's translations on several crucial points. 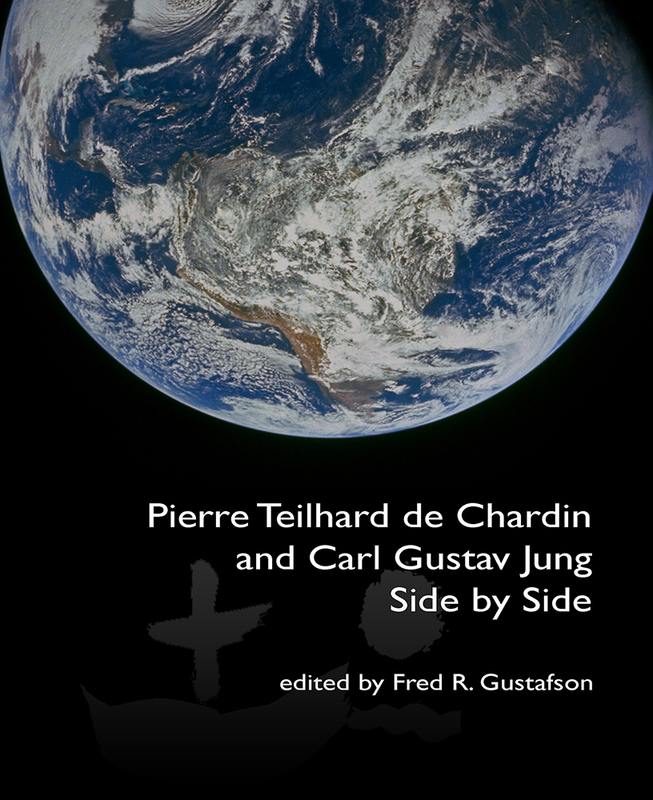 In his notes to the translation, Cleary is highly critical of Jung's treatment and interpretation of the text. The chapter summarizes his concerns, responds to them, and, in turn, subjects Cleary's approach to a critique. Because Cleary has no real knowledge of alchemical symbolism, he does not realize the importance that the body and the emotions play in the meditation technique described by the Golden Flower; he thinks it consists primarily of mentally focusing inward toward the source of consciousness. A translation that does justice to the alchemical aspects of the book, therefore, has yet to appear. As a psychoanalyst with an interest in meditation, I am often asked if I incorporate meditation in my therapeutic work. The answer is that I have been able to incorporate Jung's active imagination, which is a form of meditation, in my work, but not Eastern meditation. 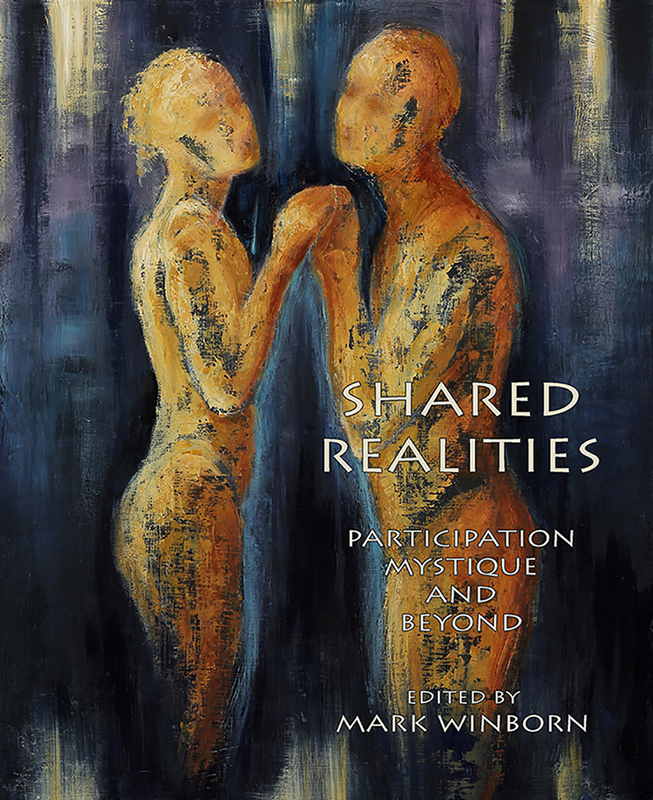 In active imagination, people are able to engage their complexes and troublesome affects in a direct way and obtain immediate therapeutic results. This does not happen with most Eastern meditation techniques, which require a period of arduous training and consistent practice before any significant psychological results become evident. Also, Eastern meditation, with some exceptions, does not deal with psychological or relationship problems in a direct way. People who come for psychotherapy are usually not interested in learning a meditation technique that may have a beneficial effect on their life in future years, because they are now seeking relief from psychic tension or pain that makes their present life difficult. In addition, not everyone is motivated by the aim of Eastern meditation, namely, a religious relationship with archetypal images, or, conversely, their demystification, or the experience of the ultimate ground of consciousness and being. Eastern meditation, therefore, is not an aid to psychotherapy; rather, it is the other way around: psychotherapy can help a person overcome the psychological obstacles and personal problems that interfere with the successful practice of meditation. 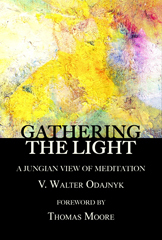 Gathering the Light remains a groundbreaking work that integrates Jungian psychology, alchemy, and the practice of meditation. It is one of very few, if not the only Jungian book that demonstrates that the alchemical opus is not only an analogy of the individuation process, but also a depiction of various experiential stages encountered in the course of meditation. V. Walter Odajnyk, Ph.D. is a Jungian analyst, and serves as a Core Faculty member and is the Research Coordinator for Pacifica Graduate Institute's Mythological Studies Program. 1. Daniel Goleman, The Meditative Mind: The Varieties of Meditative Experience (Los Angeles: Jeremy P Tarcher, 1988), pp. xxi-xxii. 2. Aryeh Kaplan, Jewish Meditation: A Practical Guide (New York: Schocken Books, 1985), p. vi. 4. C. G. Jung, "On the Nature of the Psyche," The Collected Works of C.G. Jung, vol 8, para. 420.